Be further enlightened about putting up and operating a business through these tips from the president and CEO of Julie’s Bakeshop. 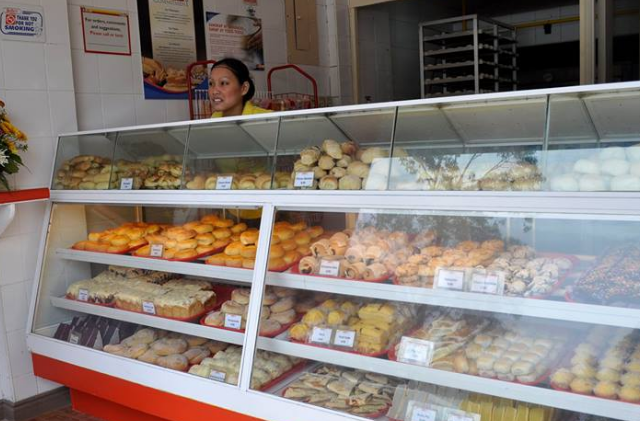 In almost every Filipino community, there was the quintessential neighborhood bakeshop until Julie’s Bakeshop came along and raised the standards. Now run by Joseph Gandionco, son of the founder and namesake, the bakeshop continues to grow on the same values that started it all. Currently, Julie's Bakeshop has more than 600 branches nationwide, making it the largest bakeshop chain in the country. Gandionco shares the same lessons that he learned from his mother as she was putting up Julie’s Bakeshop from the ground up. “Before you even start your business, think of ways that you can stand out from the crowd. Think of a concept that you can work your whole store around,” the bakeshop honcho said, adding that the concept his mother had in mind was simple: it had to be clean and transparent. That is why the company requires its stores to be clean all the time and to possibly give in to requests if customers want to see how bakers prepare their bread. “Get your hands into the business. It is the only way that you will learn how to run the business,” he advises. When his mother was starting the bakery business, Gandionco was the designated driver who would accompany her when sourcing ingredients and making deliveries. Apparently, that was how he started immersing himself into the business operations. If there is one other thing more important than the product, it’s the client. “You have to always think of the customer–be service oriented. Make sure the people manning your stores are trained to cater to the needs of the customer,” he says. Even if you think your product is already great, you should not rest on your laurels and enjoy the fruits of your business. It does not stop there. “Continue developing your products. Make sure that you are only giving the best, and you can only do that with constant product development,” Gandionco reminds.